Everest Horology Products produces very high quality straps and rubbers, that became the perfect alternative to the Rolex bracelet. These products are also ideal for those who like to wear their Rolexes without risking damage to their bracelets. 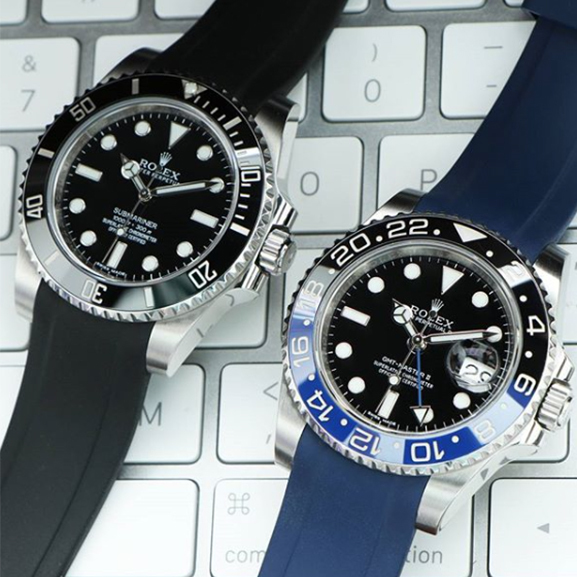 They have created straps that keep the essence of a Rolex watch, but thanks to multiple colors and material, you can really customize your watch as you prefer. Between the materials we can find there are Vulcanized Rubber, Italian Leather, or Louisiana Alligator and each strap comes in a variety of colors. Furthermore, they have a proprietary solid end link system, which closes the gap between the strap and the lugs. Everest Horology Products also offers other watch-accessories, such as: watch punches, watch cleaning clothes, modern Rolex spring bars, DeepSea and Sea-Dweller spring and more.